A 22-year-old who stabbed a man to death during a robbery in County Durham has been jailed for life. The body of Michael Outhwaite, 42, from Sunderland, was discovered in a field in Willington in September. 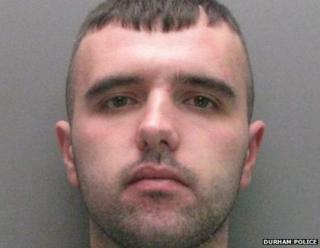 Daniel Oxlely pleaded guilty to murder when he appeared at Newcastle Crown Court in December. The judge sentenced Oxlely of High Street, Willington, to life and told him he would serve a minimum term of 23 years and nine months.